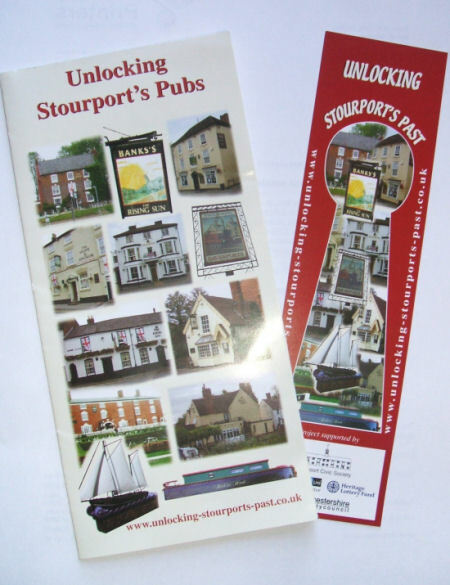 The Unlocking Stourport Bookmark; Unlocking Stourport's Pubs, Unlocking York Street and Unlocking Stourport's Shops leaflets are available now. Use the links below to download and print your copy. Stourport Town Trail (cover page).